Can Tho (VNA) – The prices of tra fish (pangasius) in the Mekong Delta is hitting a record high, exceeding 30,000 VND per kilogramme, bringing high profits to local farmers, but businesses are facing shortages of material fish. A representative of a seafood processing firm in Chau Doc city of An Giang province said it needs up to 200 tonnes of tra fish a day. Due to increasing export demand, the company has come to many tra fish breeding farms but it is still facing shortages. 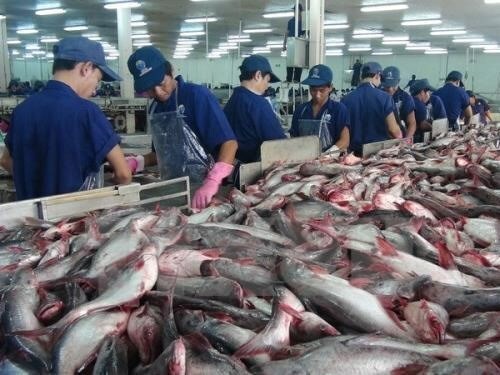 Duong Nghia Quoc, Chairman of the Vietnam Pangasius Association, said even owners of breeding farms are short of material tra fish due to a lack of breeding tra fish stocks. The supply of material tra fish for export in 2018 will be limited, he said, adding that the prices of exported tra fish may remain high for the whole year. Vietnam’s tra fish exports reached 1.8 billion USD last year, up 4 percent against 2016, according to the Vietnam Association of Seafood Exporters and Producers (VASEP).